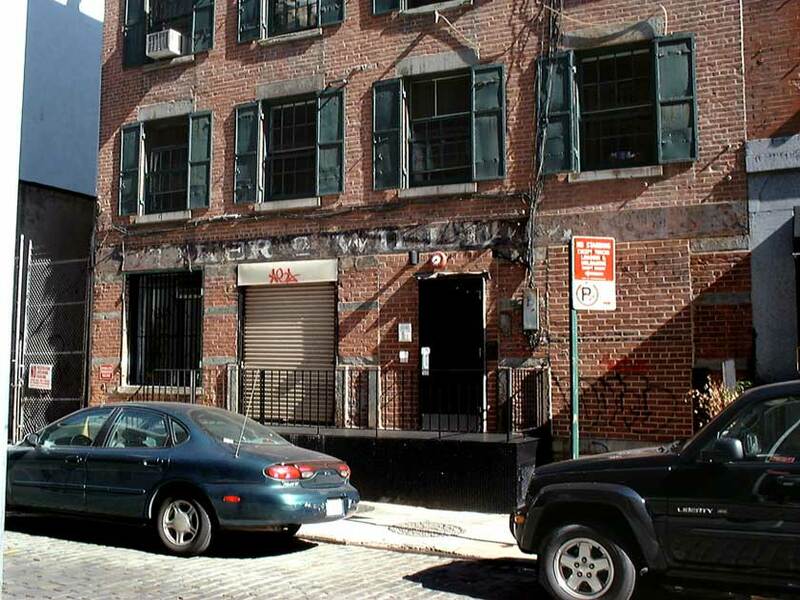 Baker & Williams Bonded & Free Warehouses began in 1870/71 at 272 Water St., approximately across the street from 265 Water St. The facility at 265 Water St. was in use from 1895 to 1955. This ad for Baker & Williams dates from 1926. 265 Water St. is one of the 8 locations listed. This ad from 1946 continued to list 265 Water St. as one of the warehouses. The founders of this business were Frederick Baker (1830-1913) and James Bogart Williams (1833-1909). On the death of Frederick Baker the New York Times, 22 June 1913, noted his will stipulated that on the death of his widow, Frances E. Baker, the remainder of his inheritance was "to be divided among charitable institutions, one-half going to the Presbyterian Hospital, one-fourth to the Foreign Missions Society of the Presbyterian Church, and one-fourth to the Free Home for Destitute Young Girls of New York City." James B. Williams was a long-time resident of Stamford, Connecticut, born New York City, 5 March 1833, died, age 76, 26 July 1909. Another member of the Baker & Williams firm was Pierre Fleming MacDonald (1841-1922). Pierre F. MacDonald can be traced through no less than six U. S. Census reports from 1860 to 1920. In 1913 he applied for a passport where he stated that he was born in New York City 11 April 1841. City directories list MacDonald was president of Baker & Williams from 1914 through 1920/21. Another president at Baker & Williams, although seemingly only briefly, was Francis S. Phraner (1858-1922). He was born 14 Nov. 1858 in Ossining, N. Y. and lived in Summit, New Jersey. His obituary notice in the New York Times, 22 June 1922, read in part, "Francis S. Phraner, President of Baker & Williams, owners of a group of warehouses in this city, died yesterday of heart disease in his sixty-fourth year at his residence, 113 Hobart Street, Summit, N. J. Before his election to the Presidency of the company, Mr. Phraner had for many years been Vice President, Treasurer and a Director. He was a trustee and an elder of the Central Presbyterian Church in Summit." Another officer at Baker & Williams was Frank McWatters (1857-1921). His gravestone at Green-Wood Cemetery, Brooklyn, gives his dates as Dec 1, 1857 and June 9, 1921. Baker & Williams maintained storage facilites in Manhattan until approximately 1990. Another extant Baker & Williams sign is located at 92-98 Morton St. running the whole block from Greenwich St. to Washington St. This 9-story warehouse building was built for Baker & Williams in 1916.